Ah, cookout season. It’s just around the corner but are you ready? Sure, backyard BBQs are fun if someone else is hosting. Something about all the work it takes to check on the meat, clean the grill and prep the yard seems to turn a party into a chore. Thankfully, we live in a glorious age of modern technology with a variety of products on the market all aimed at making the backyard BBQ easier, tastier and more enjoyable. Upgrade your patio with these 7 must-have products to host a high-tech BBQ of your own. Smoking meat is an art it takes skill and time to get everything right. Lucky for you, Char-Broil is putting a chef into your back pocket with an innovative app so anyone can be an at-home pro. 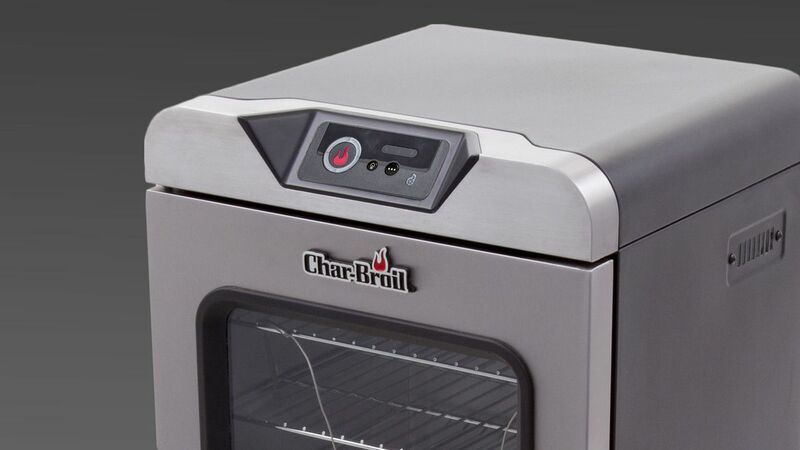 Char-Broils Digital Electric Smoker syncs to your smartphone over WiFi with the SmartChef app, which means you can check in on that rack of ribs anytime, anywhere. The app puts real-time cooking updates in the palm of your hand, notifying you when youve reached key cooking times, keeping you informed about the internal temperature of the meat and even controlling pre-programmed smoking recipes. Less time babysitting the smoker means you can spend more time on other things, like actually enjoying your own party. This stylish nylon grill brush from Char-Broil is specifically designed to clean the grill while its cool, so you can clean at your convenience and wont leave metal bristles behind on your grate or in your food. 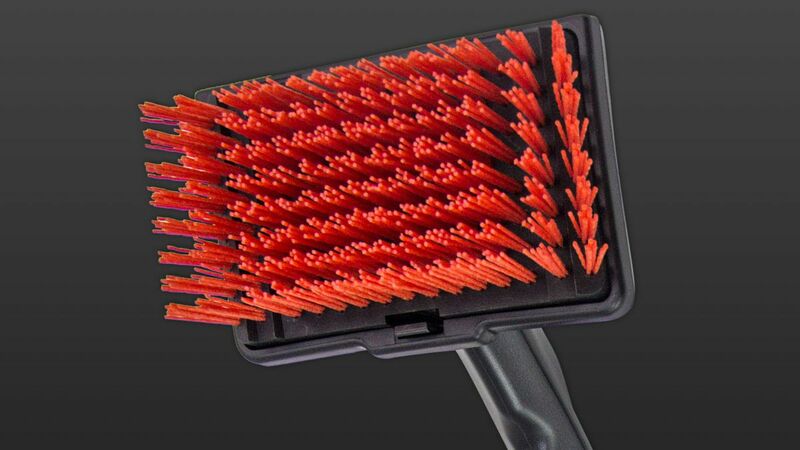 The abrasive-infused bristles clean between the grates of your grill with ease. The brush also includes a scraper on the reverse side to dislodge stuck-on grill debris. Remember growing up when your mom would cut into all the burgers, just to check if they were done? 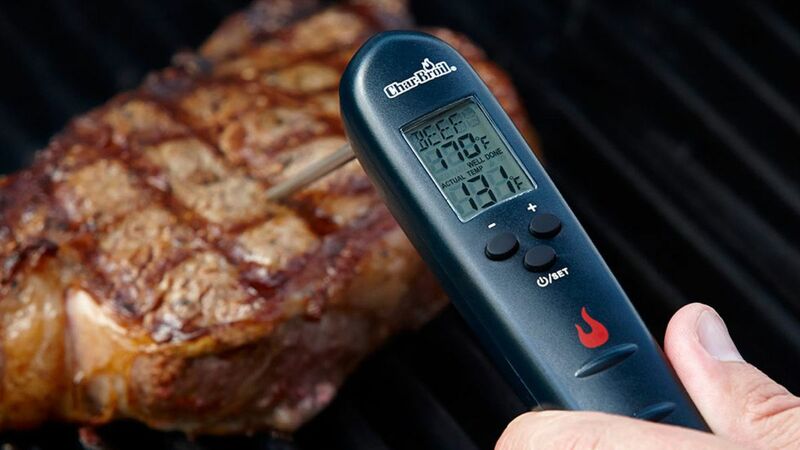 Avoid this grill massacre with an Instant-Read Digital Thermometer, which can tell you on command the internal temperature of your meat and preserve the almighty juices from plummeting into the depths of the grill below. The foldable stainless steel probe allows you to measure temps at different angles, giving food safety a boost and ensuring that meat stays on the grill until it’s done. 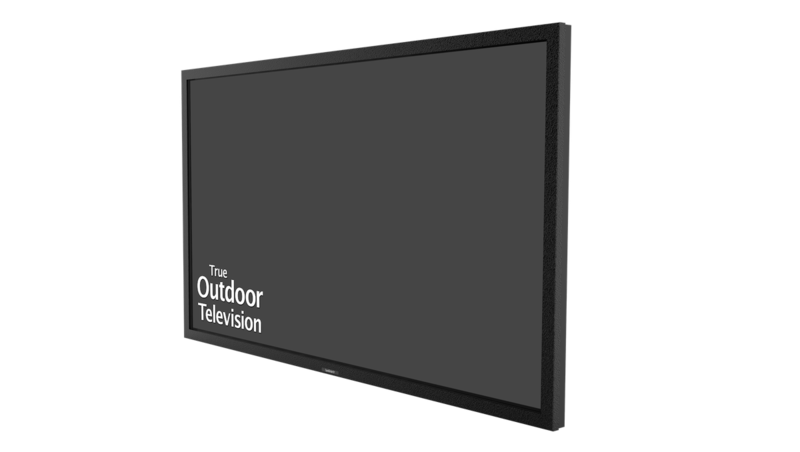 Bring your living room outside with this all-weather, outdoor-optimized TV by SunBriteTV, which can withstand temps ranging from -24 to 122 degrees F. HDMI ports within the media compartment support multiple online TV subscription service hookups and a 1080p HD/LED anti-glare screen means theres no reason to ever go inside again. The rust-proof aluminum exterior comes in black, silver or white and the unit can either be mounted or used with a tabletop stand, so hosting a movie night with your BBQ is easy. Imagine never having to do yard work again. 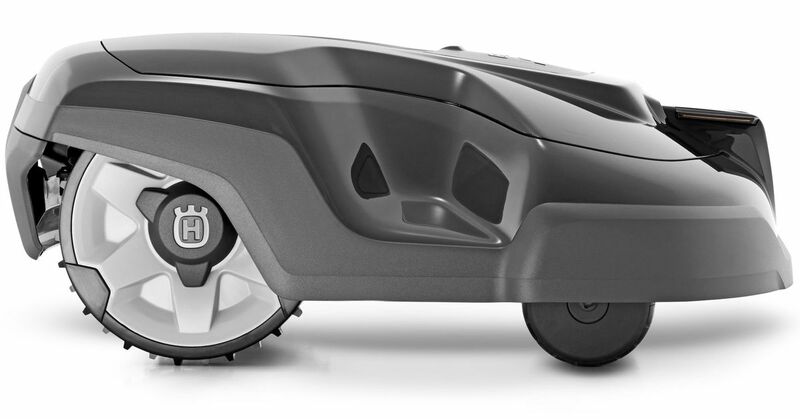 That’s the idea behind the Automower, a robotic lawn mower by Husqvarna that cuts your grass completely unsupervised. (Think of it as a Roomba for your yard.) It’s designed to maneuver over tricky terrain, can handle slopes up to 35% and even cuts wet grass. Best of all? All that time you used to spend aimlessly walking the yard with a traditional mower is suddenly free to do more important things, like chowing down on those baby back ribs you just pulled out of the smoker. Every respectable BBQ needs a killer playlist to set the mood. 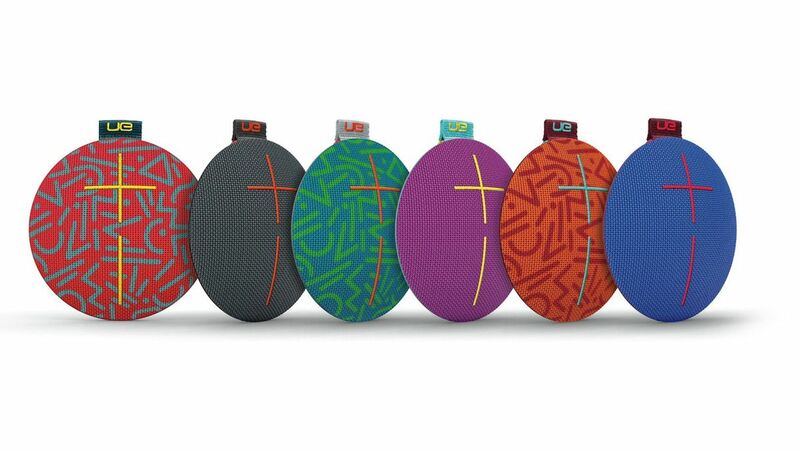 This waterproof speaker by Ultimate Ears links up to your smartphone via Bluetooth so you can take your music with you wherever the day goes. A 360-degree range of sound means it blasts audio in every direction, so no matter where you are in the yard you’ll still enjoy the tunes. And with up to 9 hours of battery life it’ll last long after the grill has cooled off and all the guests have gone home. Creating that perfect party ambiance can be a challenge. 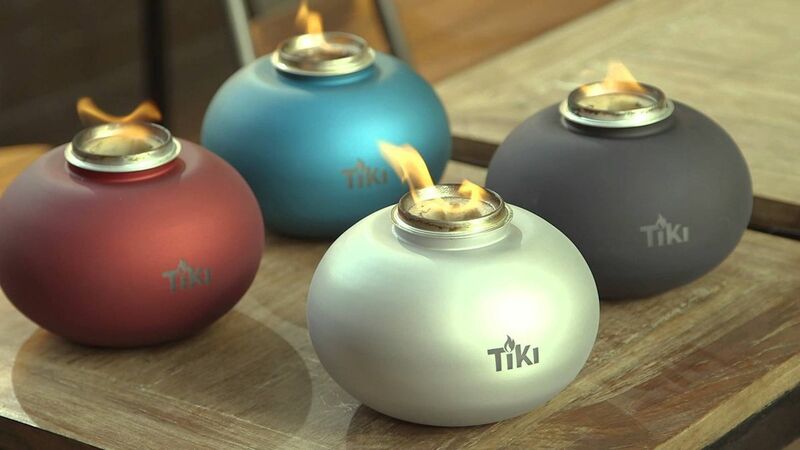 If you love the idea of a backyard fire pit but hate all the mess and smoke this tabletop firepiece by TIKI may be the perfect solution. When paired with the new Clean Burn torch fuel, which is plant-based, there’s a dramatic reduction in the amount of smoke and soot you’d typically get with petroleum-based fuels. Plus, it can be easily moved, so it’s a cinch to take the firepiece from the table to the patio to beside the pool.